Matt Keough is the founder and sole proprietor of Bright Kestrel Ltd. He finds great satisfaction in helping small businesses, non-profits, and churches make smart decisions about digital marketing. 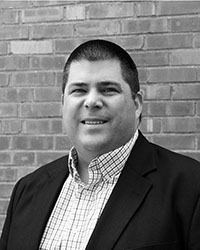 He spent more than 9 years at Fathom, an Analytics and Digital Marketing Agency, Serving as a program manager, account executive and senior account executive, where he was responsible for the overall success of his client’s digital marketing programs and worked closely with PPC and SEO specialists, and team management to set strategies for the clients of Fathom’s manufacturing segment. Before joining Fathom, Keough acted as an in-house marketing manager at a manufacturing services firm. He designed and coded websites, performed search engine optimization, managed pay-per-click campaigns, created direct mail campaigns, designed and produced brochures, managed trade shows, and was the manager responsible for client satisfaction measurement in an ISO 9001-2000 certified company. Keough has written guest blogs for Crain’s Cleveland Business with advice for manufacturers. He has also written for Fathom’s blog. Feel the Need. The Need for Speed. Talk to Matt! Fill out the form below to start the conversation.